©Rachel Brask, Rainy Moment 02 (Winter Rain). Oil on canvas, 40″x30″. 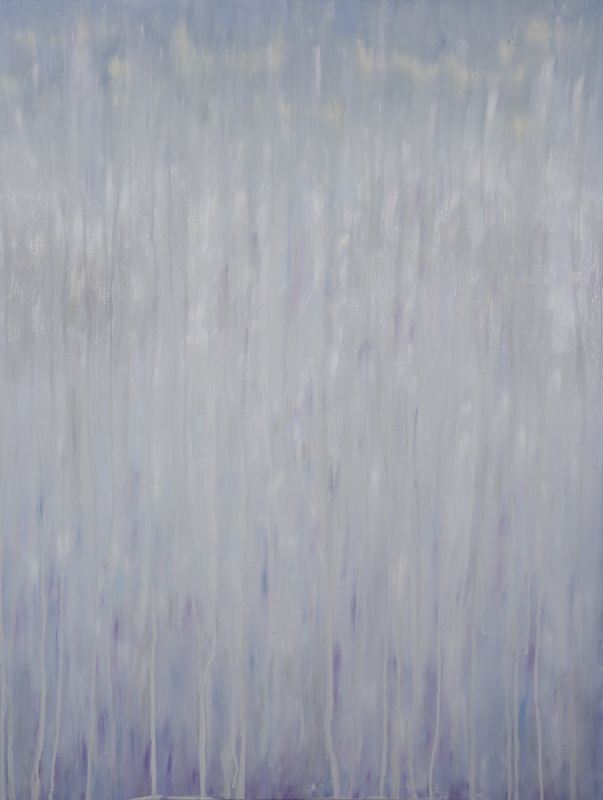 Rainy Moment #02 (Rain in Winter) is inspired by the cool light hues of a New England winter snowstorm, employing whites, and light blues, periwinkle and purple. While it may not conventionally rain when there is snow outside, the artist sought to capture the impressions of cold winter colors.